One of the fun things about taking the monorail to Epcot is the preview riders get of the Future World attractions. My son and I took this ride yesterday, and I was able to snap a few pics prior to arriving at the station. 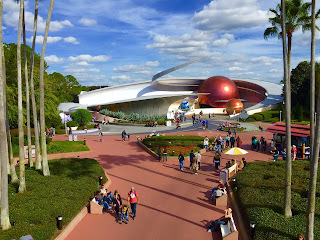 This shot of Mission Space contains a tribute to the previous attraction that was located in this spot. 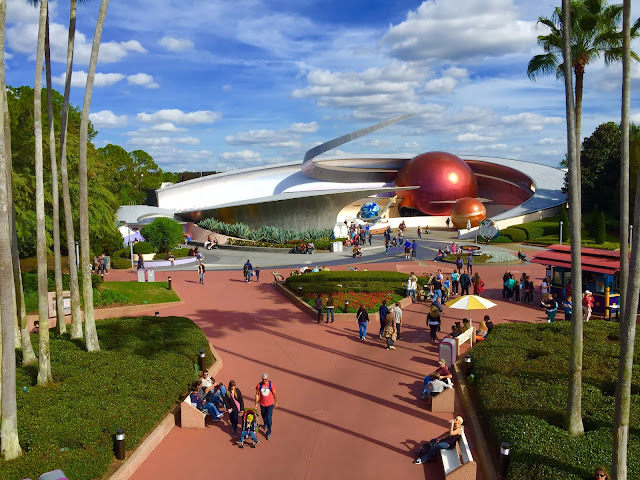 If you look at the flower "island" in the middle of the walkway, it is in the shape of the old Horizons building, which was one of my all-time favorite rides. It also contained the original sign for that attraction, which existed from 1983 to 1999.